It’s always the season for Italian food in New York, a city almost as obsessed with pasta as it is with status. This is something the chef Jonathan Benno knows well, after spending six years cooking roast lamb and spaghetti pomodoro at the glitzy Lincoln Ristorante. After talking for a few years about wanting to open a more casual spot further downtown, Benno left Lincoln last year to do just that. As it turns out, he’s ended up with three all located in the renovated Evelyn hotel. And the first, Leonelli Taberna, opens tonight. 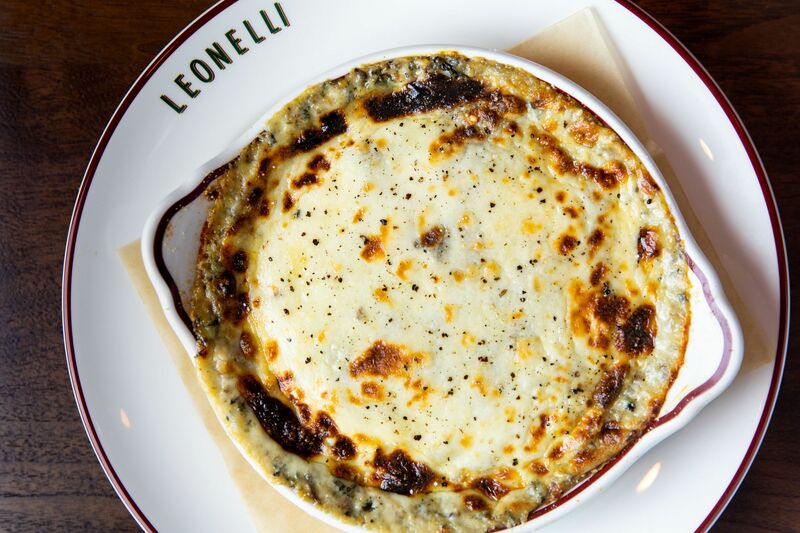 As a trattoria and cocktail bar, Leonelli has been described as a Roman restaurant, but Benno is quick to say that’s not exactly the case. “I can’t say that we’re a Roman restaurant. 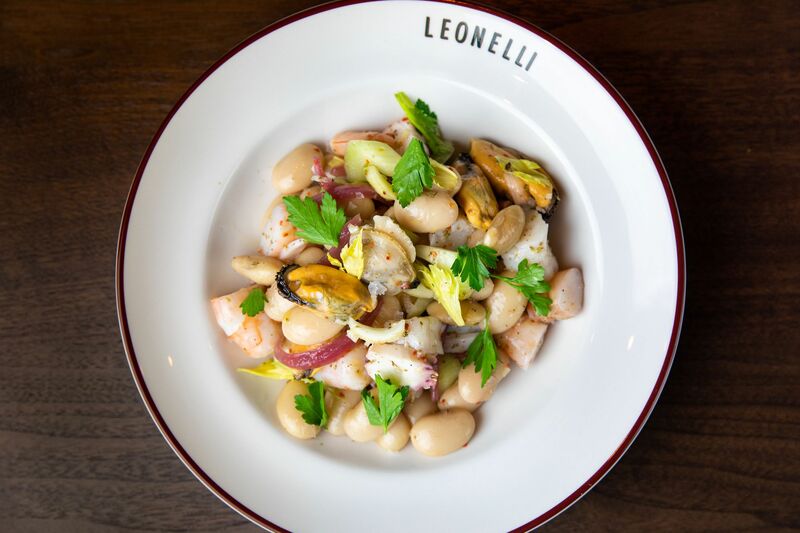 We certainly take our inspiration from Rome,” he says, adding he and chef de cuisine Ben Cianciosi (who worked with him at Lincoln) will pull from other regions of Italy throughout the year. 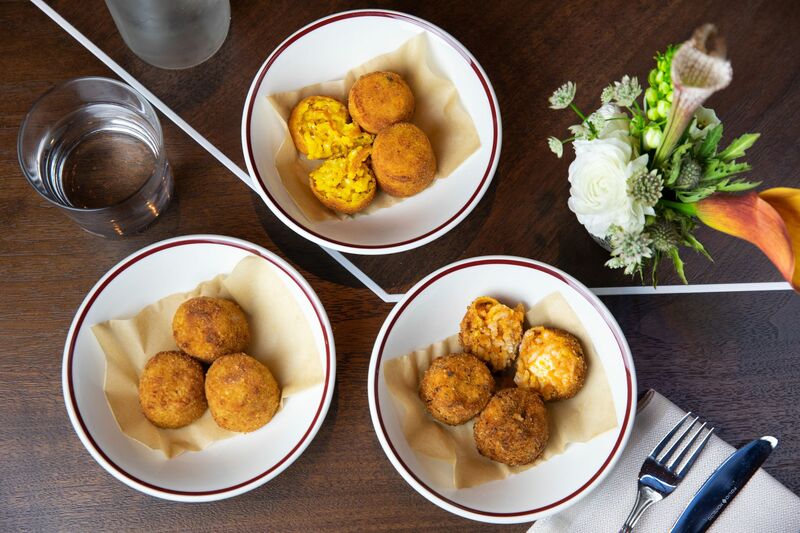 To point, there’s no amatriciana and the carbonara comes in the form of the rice croquette called suppli. 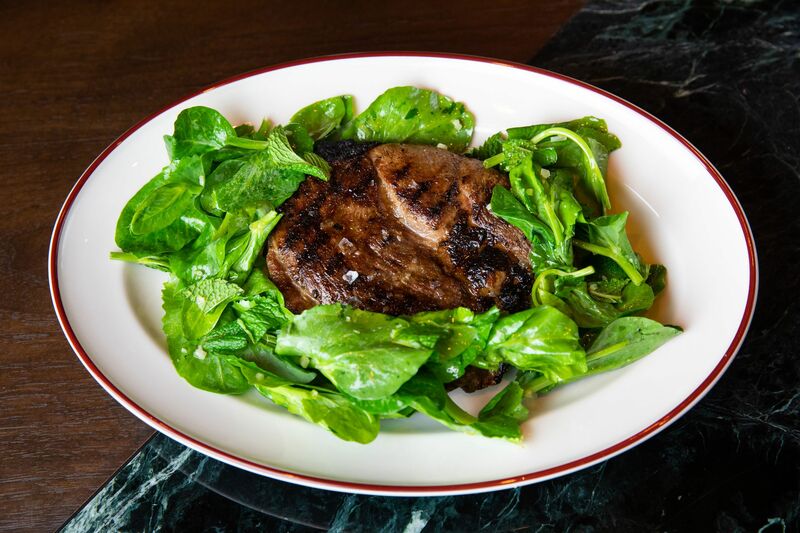 But there is a dry-aged steak for beef buffs and a flatbread with smoked salmon for fans of Wolfgang Puck’s early work. That flatbread is part of a section of snacks, like salami plates and piccoli piatti including baked ricotta, meant to lure in those looking to have a drink or two. The menu is otherwise divided into the usual Italian format, with appetizers such as tonno sott’olio (yellow fin tuna with chickpeas and cucumber) and lamb with preserved lemon and nepitella, an herb related to mint. 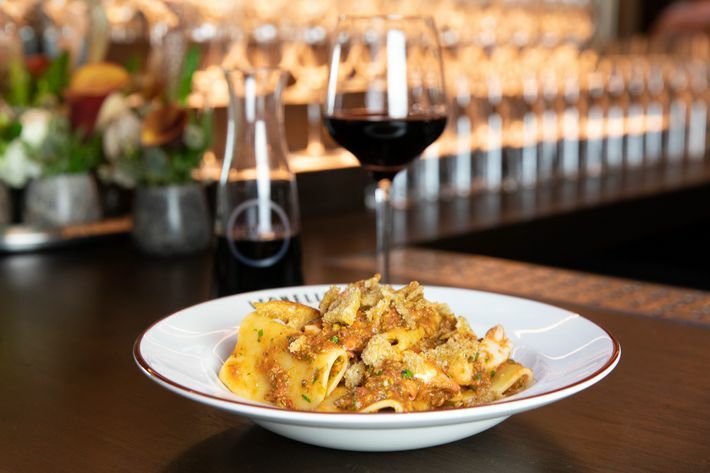 Benno earned particular praise for his pastas at Lincoln, and he’s got four on the menu here including paccheri with a bounty of seafood. There’s also the Italian crepes called crespelle, served with ricotta, tomato sauce, and spinach. The dessert menu, from Lindsey Bittner (who worked at Gramercy Tavern, where Benno also worked, though not at the same time) features a torta with lemon curd and pine nuts, a biscotti plate, and tartufo with hazelnut gelato and cherry sorbet. Along with Cianciosi, Benno has brought along baker Lisa Kalemkiarian and beverage director Aaron von Rock from his time at Lincoln. There will be plenty of Italy in the cocktails: several variations of both spritzes and the Americano, as well as a variety of Prosecco-based drinks made with fruit purees and Italian liqueurs. 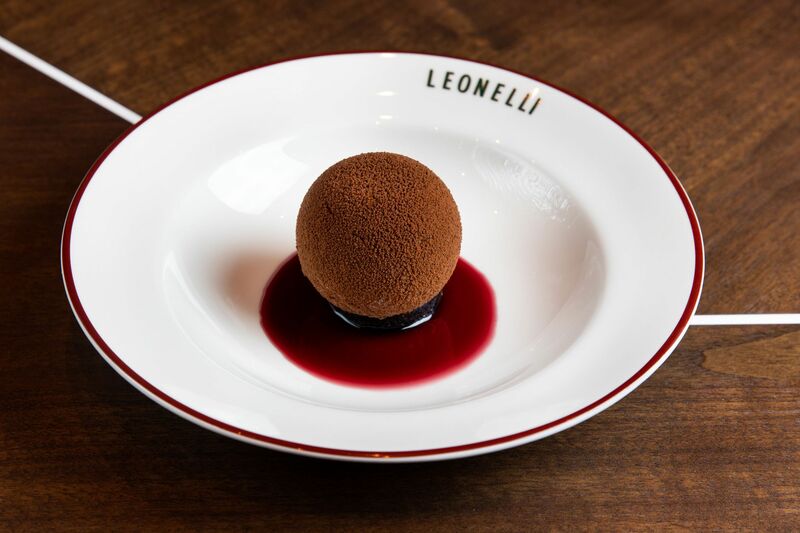 Bread is an important part of the equation here, and the second of Benno’s third projects in the hotel is a bakery, Leonelli Focacceria e Pasticceria, that will open in July. The chef has cited Rome’s famous Pizzarium as an influence for the Focacceria, where they’ll serve classic Italian pastries, focaccia, sandwiches, and a few other items. Will Eating a $185 Sandwich Make You Hate Yourself?